Regency Centers Corporation a national owner, operator, and developer of grocery-anchored shopping centers, has announced the acquisition of Market Common Clarendon, in Arlington, VA. This mixed-use property, purchased in an agreement with AvalonBay Communities, features 300 class A apartment homes, 300,000 square feet of retail anchored by Whole Foods Market, Apple, Crate & Barrel, The Container Store, Pottery Barn, Williams-Sonoma, and an adjacent vacant building identified for future redevelopment. In order to facilitate the acquisition, Regency Centers and AvalonBay have formed an agreement under which AvalonBay will acquire all of the benefits of the residential components, and Regency will acquire the retail and all remaining components. 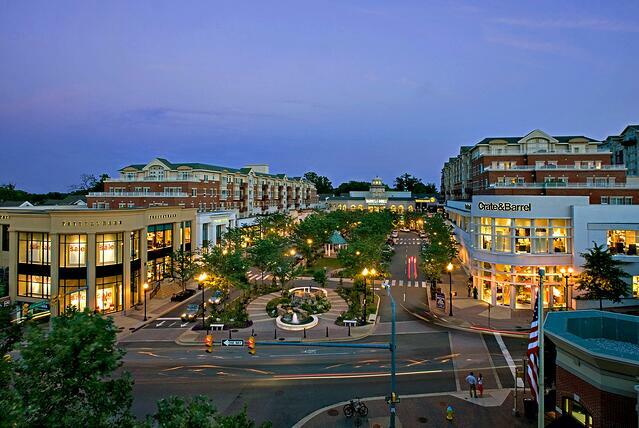 The purchase price for Market Common Clarendon was $406M, of which Regency’s share was $285.7M. For property inquiries, please contact Devin Corini, Vice President of Investments for Regency Centers, at 703-442-4324, or at devincorini@regencycenters.com.